Taking Wallace Chan seven years to perfect. 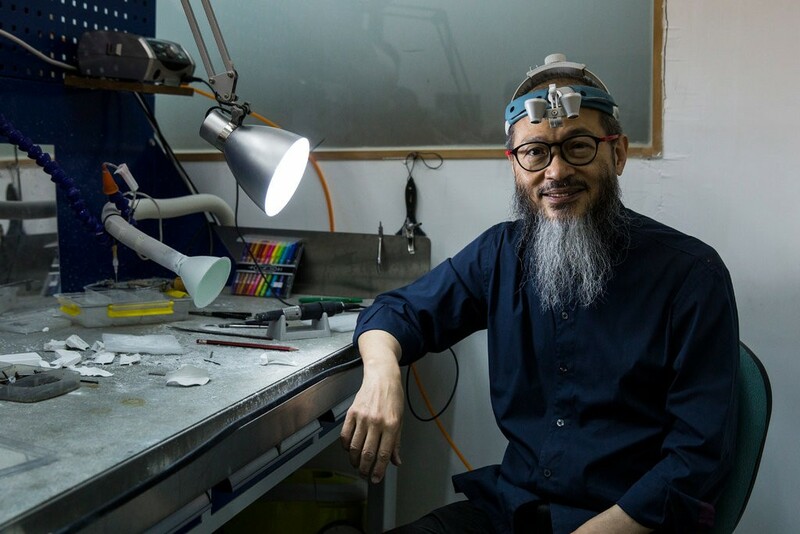 The New York Times just broke the news that Wallace Chan, an artisanal Hong Kong jeweller considered one of the world’s best – the jewellery equivalent of a Dufour or Voutilainen – has premiered his proprietary form of porcelain that’s five times harder than steel. Describing a porcelain ring and the bearded Mr Chan “whacking it aggressively against the wooden coffee table”, the notes that the ingredients in the ultra-hard porcelain are secret, though individually, almost entirely pure. The material was developed for its colours, which can achieve shades impossible with metals, according to Mr Chan, who fires the porcelain in his own custom-made ovens. 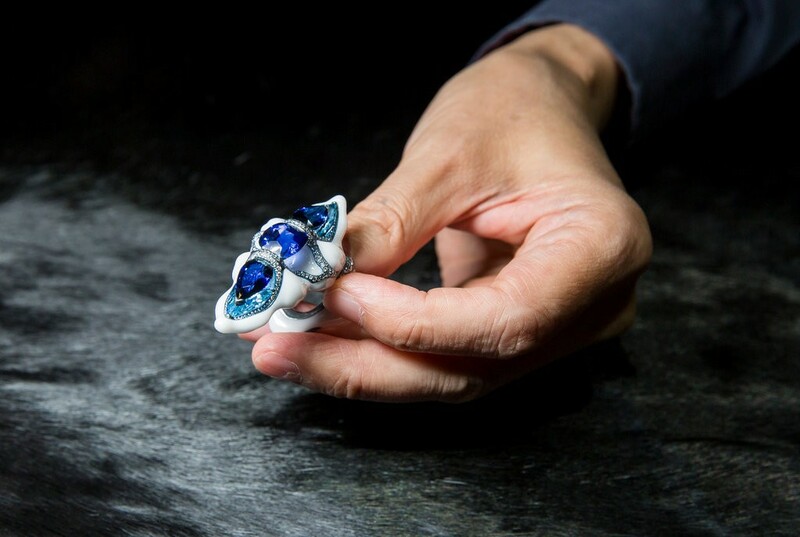 Four pieces of jewellery have been made out of this new material, combined with titanium, an alloy that has long been a signature of Mr Chan’s sculptural work, which has been sought after by a diversity of clients, from wealthy Chinese to European royalty. But Mr Chan is arguably more famous for his Wallace Cut, a technique that combines intaglio engraving and faceting to create tiny images inside gemstones. The prices for the new porcelain jewels have not been revealed, but they won’t be affordable. In 2012, Mr Chan became the first Asian jeweller to exhibit at the Biennale des Antiquaires, the Paris jewellery and antiques show where French names like Cartier and Van Cleef & Arpels are longtime attractions. It was at the fair that Mr Chan sold the “Great Wall”, a necklace of diamonds and antique Chinese imperial jadeite – for €56m. Read the full story over at The New York Times. And to see more of Mr Chan’s creations, visit his website.